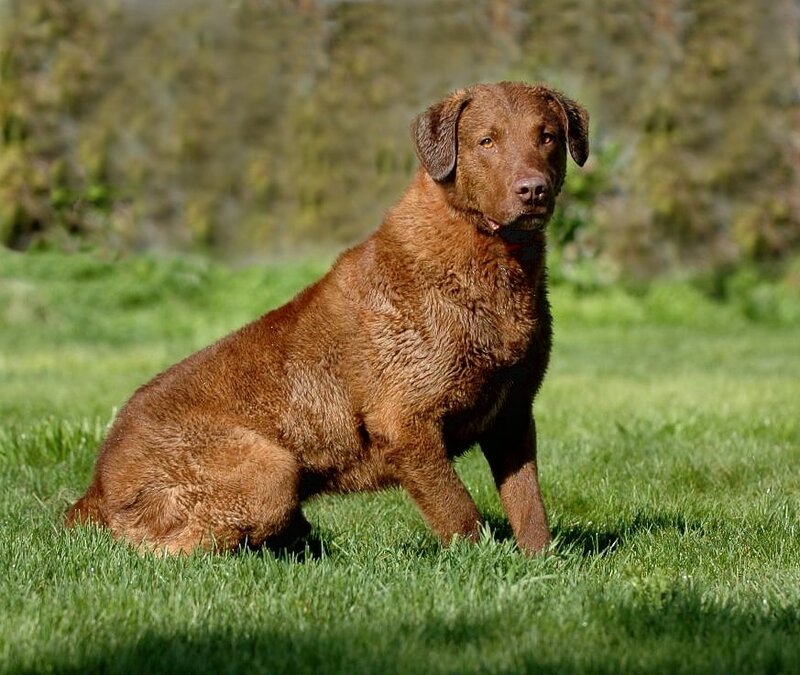 COLOR- The color of the Chesapeake Bay Retriever must be nearly that of its working surroundings as possible. 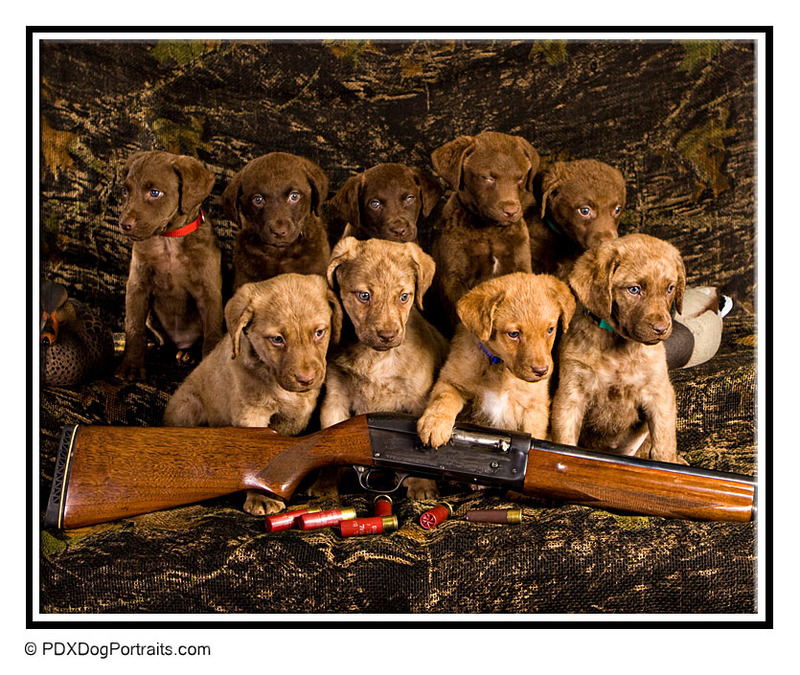 Any color of brown, sedge, or deadgrass is acceptable, selfcolored Chesapeakes being preferrred. One color is not to be preferred over another. A white spot on the breast, belly, toes or back of feet (immediately above the large pad) is permissible, but the smaller the spot the better, solid colored preferrred. The color of the coat and its texture must be given every consideration when judging on the bench or in the ring. Honorable scars are not to be penalized.